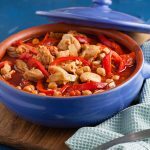 Looking for quick and easy recipes with plenty of flavour. 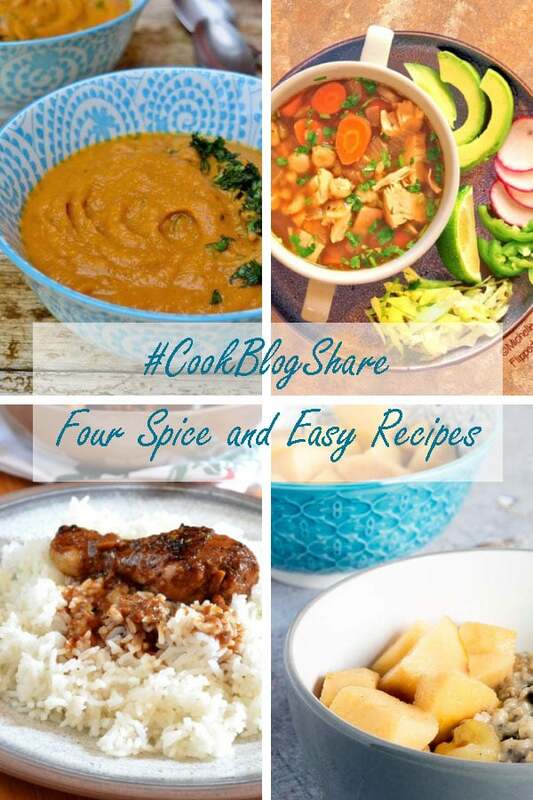 Check out these four spice and easy recipes from the CookBlogShare community. OK so where has 2018 gone? It seems to me time just flies by quicker and quicker. There’s just one more #CookBlogShare post to come on Recipes Made Easy on 4th December and then before you know it, it will be Christmas. There I said it. If you are new to Recipes Made Easy you may be wondering what I’m talking about with #CookBlogShare. Well, it is a place where food bloggers like myself can link their foodie posts and where readers like you can discover other food blogs. #CookBlogShare goes live every Tuesday and is hosted here every four weeks or so. Check out here to see where it is to be hosted over the next few weeks. Well, it’s certainly been a busy few weeks since I last hosted #CookBlogShare. I finally got a few days away with Mr B. to visit Seville and it’s an amazing city I highly recommend it. Despite being October we enjoyed temperatures in the high 20s and low 30s, which for city sightseeing is just perfect. It felt slightly surreal eating outside every night in October. Needless to say we found some lovely places to eat. I’m totally in love with Spanish food. 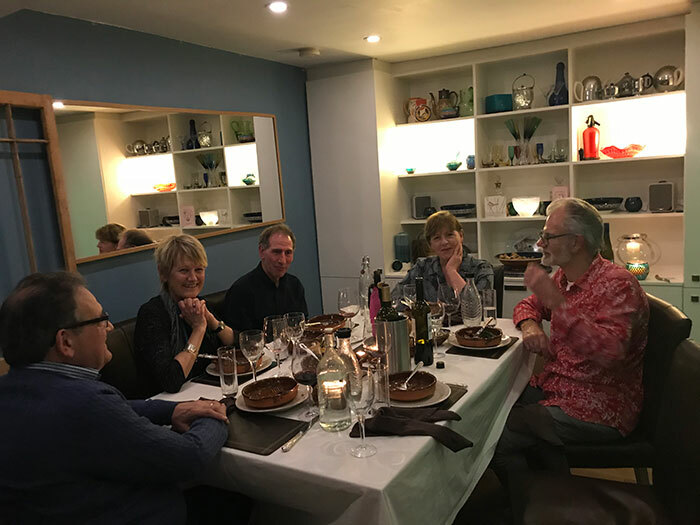 So much so that I cooked a Spanish themed dinner for some friends of mine to celebrate my birthday on Saturday. I used a mixture of my own recipes from my Recipes Made Easy and from Jose Pizzaros book, Spanish Flavours. I really must update my photographs for my Pork and Chorizo Stew which I served for the main with Haricot Bean Mash. 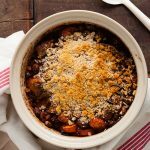 The stew is one of my early recipes on the blog and the images which were shot on my phone do not do the dish justice. It is so easy to cook and packs a real punch in the flavour steaks. I was too busy cooking and eating to take pictures before the end of the main course, but I did remember to take a picture of the cheese board. 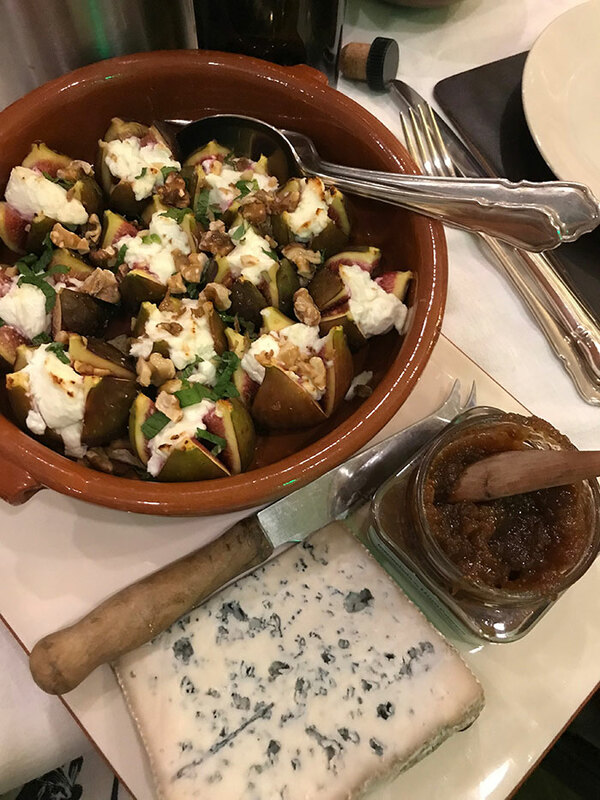 Those are figs stuffed with goats curd plus I served a rather special Spanish Blue cheese from Borough Market. Enough about me lets get down to the recipes. 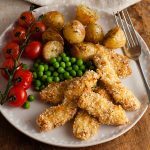 As usual, it is hard to pick just a few favourites from the delicious recipes linked up so why not pop back and see all the recipes linked up last week if you haven’t already done so. However, given that time is rushing by and we all seem so busy, I thought quick and easy recipes are the order of the day. As there is beginning to get a bit of a nip in the air too then a little spice will warm us up nicely so this time I bring you four Spice and Easy Recipes from the link up. One recipe requires a little thinking ahead to allow time for marinating but when it comes to prep and cooking all are quick and can be on the table within 30-40 minutes. 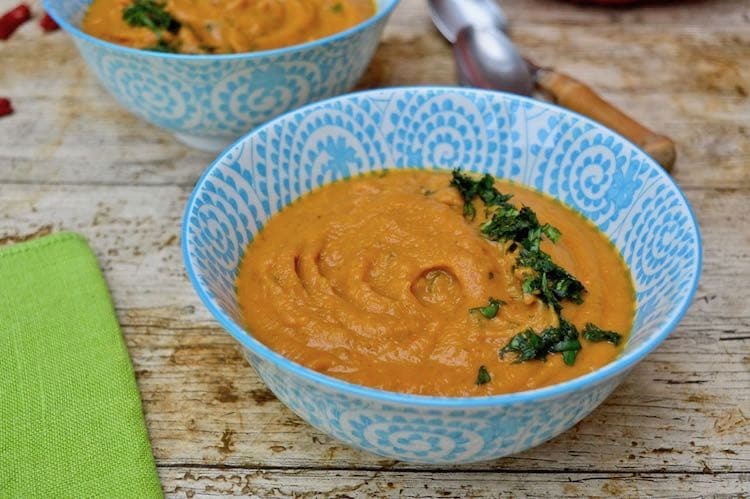 First up we have this Sweet Potato and Carrot Soup from Tin and Thyme. Easy spicy and Delicious reads the tagline – sounds good to me and it will be ready in about 40 minutes even better! If you are looking for a spicy soup that is a little bit different I’m sure you will love this Green Chilli Chicken Pozole from Flipped Out Food. Michelle has simplified a rather longer and more complex traditional Mexican recipe to one you can have on the table in about half an hour. 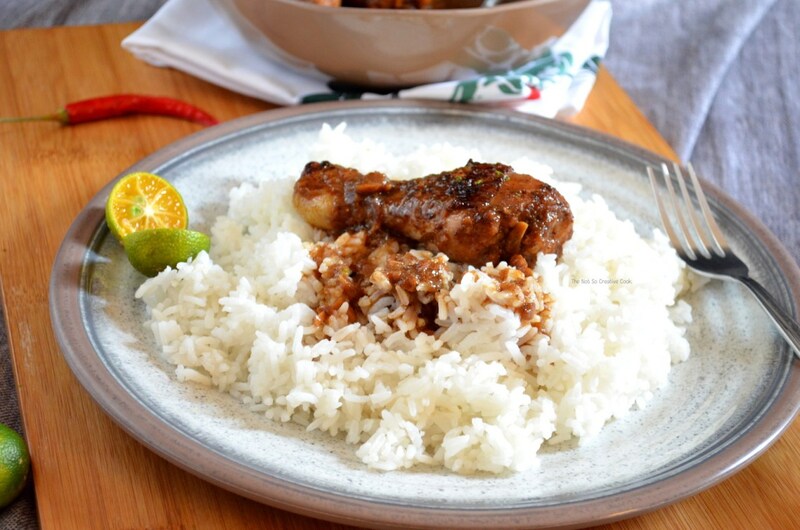 Next up is this rather delicious sounding chicken dish Filipino Chicken Adobo with Calamansi from The Not So Creative Cook. Calamansi are a citrus fruit native the Philippines so Jhuls suggests using lemons if you can not get them. 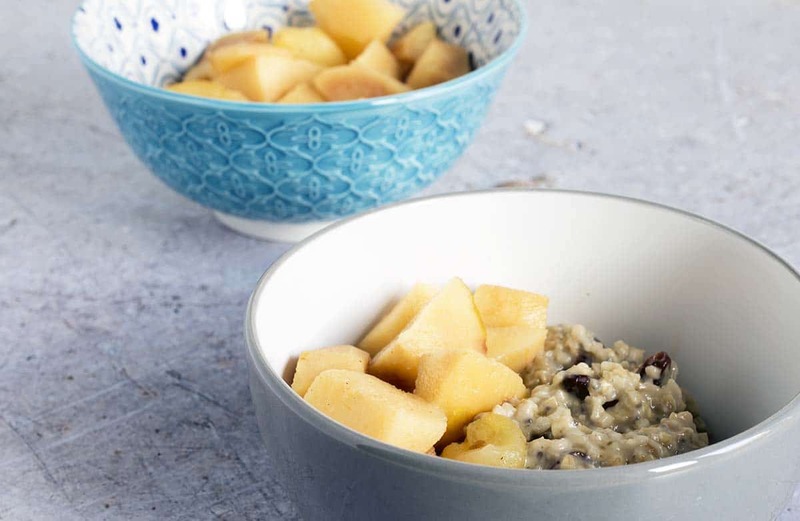 Looking for a sweet and spicy dish that’s a little different then try this Easy Spiced Quince Compote from Veggielicious. Mandy suggests trying it with porridge for breakfast. 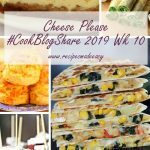 I will make sure I find the time to visit every post linked up this week, pin the recipes to our #CookBlogShare group board and tweet the recipes. If you wish, you can tweet me a link to your recipe @jacdotbee as well as (if you have room on the tweet!) my co-hosts Eb @easypeasyfoodie and Monika @MonikasRecipes, using the #CookBlogShare hashtag and we will retweet them. A little reminder that we have a new #CookBlogShare badge (code above). 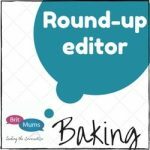 The #CookBlogShare team would love it if you can take the time to make sure you are using the new badge. Please only add links to Foodie posts – non foodie posts will be deleted without notice. Happy belated birthday!! 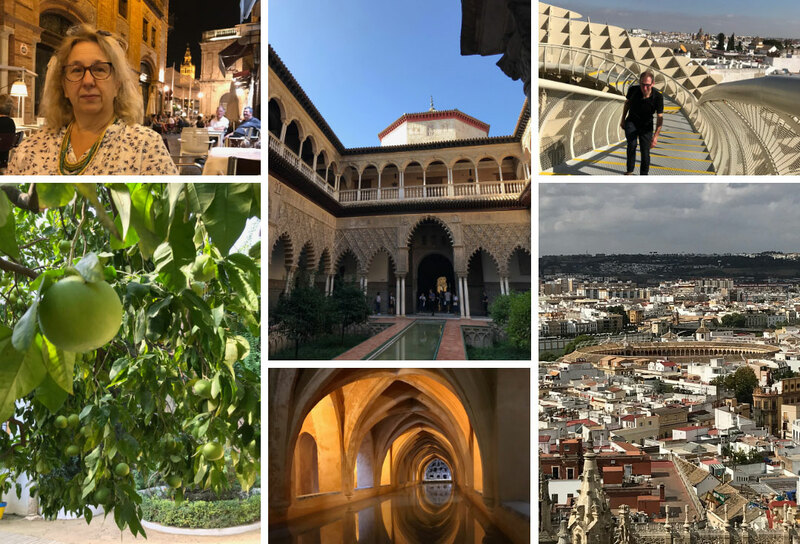 Your trip to Seville sounds amazing and photos are good too. lovely roundup post. Happy to bring a smile to your face. It looks a fabulous recipe. 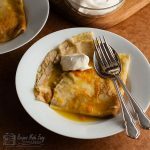 Great linky with some delicious recipes! Thanks for letting me be a part of it! You are welcome Hope to see you again. 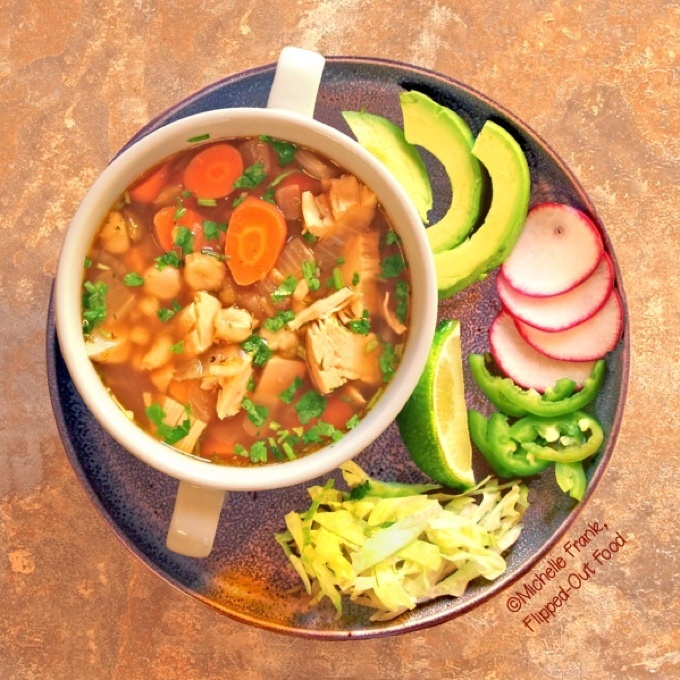 Thank you so much for including my Green Chile Chicken Pozole in your roundup! I have always wanted to visit Spain: it’s definitely on my bucket list once the kids have all moved away. You Spanished-themed dinner sounds like the stuff dreams are made of! Thanks so much for including my quince recipe Jacqui. It really is delicious. Looks like you had a wonderful time in Seville. I went there about 12 or 13 years ago and really enjoyed it. Such a beautiful place. With Mr B being an architect city hols suit us both perfectly. as we both get what we think is the best thing about holidays him the building me the food. Thanks for including my soup. Thank you for the birthday wishes Jo. Do go to Seville it’s amazing. 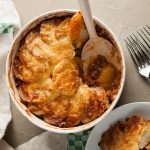 Welcome back to #CookBlogShare, delighted to have you linking up again. I love these linky parties. They make a great reference source for good food. Your trip sounds lovely, great photos too! And congratulations on joining Mediavine! It must be a nice feeling to know that all your hard work has paid off. Thank you Monika. At the moment it feels rather strange having ads on the site but Im getting use to it and it feels nice to know the blog should at the very least pay for itself now. You will love Spain. I went to Rioja on a press trip when I was at Womans Realm it was amazing but so long ago now, before the boys where born! Happy belated birthday! It sounds like you had a lovely meal and I remember having a great holiday in Autumn in Seville too but about 12 years ago!